It's been a pretty rough year. Yet a very busy and productive year. I've been noticing one major item missing from my daily routine in my sweatshop. 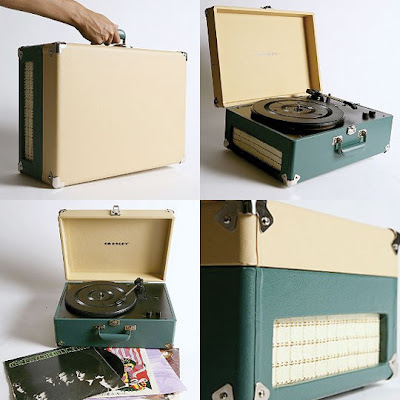 How perfect could life be with this beautiful turntable sold at Urban Outfitters! My records have been yelling my name since 2002! They need to be played and I need to hear them. So please, Santa, give me this one wish and I'll forgive you for all the sucky gifts of the past.